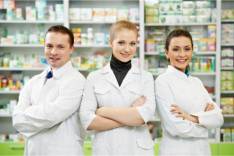 Nofel Pharmacy is your efficient, fast and friendly neighborhood pharmacy located in Los Angeles, California. We are licensed, insured and bonded in the California State as well. We are more than just an establishment that dispenses your medication, we truly care for you. Nofel Pharmacy provides the total package for all of our customers and we work closely with you to make sure we come with the best solution for you or for a loved one. In every step of the way, trust us to cater to your needs accurately and with a personal touch because we stop at nothing to make sure you only get the best. Regular or new clients and walk-ins are welcome in our store. We hope you can drop by anytime soon. If you have any questions, please feel free to call us at 213-623-9171 for immediate assistance.